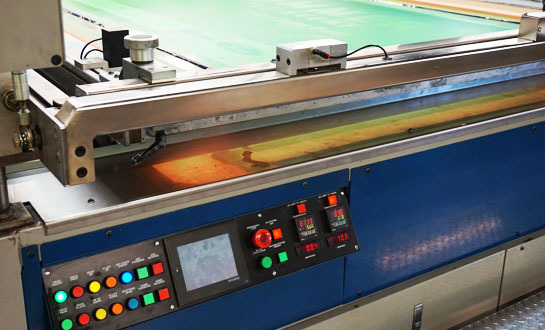 Our Screenprinting departments are capable of producing Large format up to 6' x 12' with UV inks & curing. Our In-line presses allow for high speed printing up to 400 pieces per hour on pliable & rigid substrates at 65 lpi. On site CST & Luescher Computer to Screen Technology ensures the highest of quality setup. Ideal for creating top of the line quality for nearly any promotional piece. Banners, posters, pole signs, displays, tire inserts, tire stackers, window/floor graphics & much more. 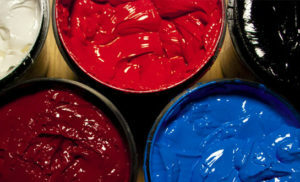 Our years of experience in the screenprint field will assure you that you're in good hands to get the quality you expect. We have achieved the level of G7 Master Qualification by demonstrating through production of print and/proofing, the knowledge, skill, and best practices required to effectively operate the G7 methodology in a graphic communications production environment.